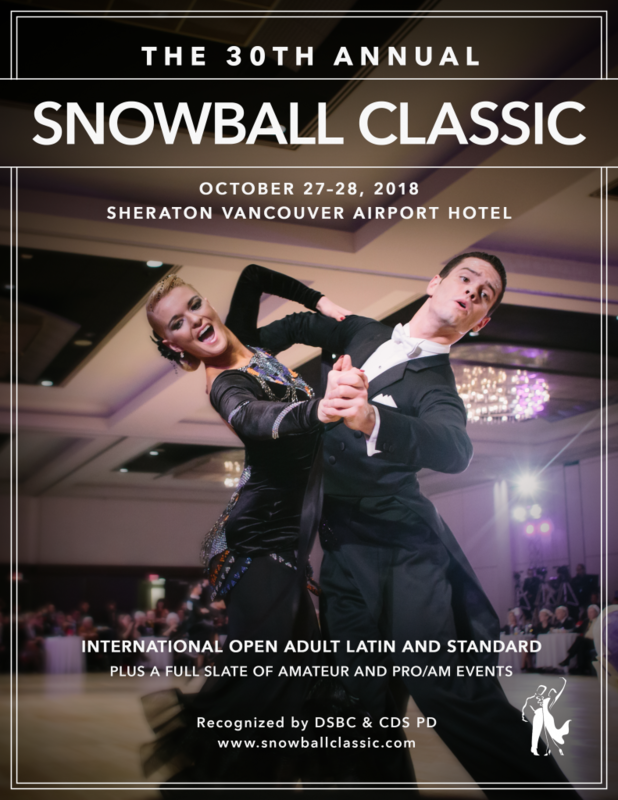 DanceSport BC is proud to announce our 2018 SnowBall Classic. This year it will be held from October 27 to 28, 2018 and we would like to invite you to join us in celebrating our 30th year running the most exclusive dance competition event in Vancouver BC. Come and celebrate the artistry and athleticism of dancesport and a fresh, engaging experience with our community. If there is a wonderful ballroom dance competition to attend, it will be the Snowball Classic. Held at the Sheraton Vancouver Airport Hotel, the largest ballroom in the center of Richmond BC, just 5 minutes from the Vancouver International Airport and easy access to public transit. Discounted parking rate of $10.00 – – proceed to any parking meter, enter the parking stall number; a rate option of “Snowball Classic” will appear. A discount code will be emailed to the ticket holders. If you did not receive the email by the day of the event, contact us for the code. We will be offering a limited number of discounted competitor passes for admission to all four sessions. Ticket sales will be available soon. Follow us on social media and stay tuned for more updates!